Off to Sugarloaf Mountain in Rio? See our insider advice for a queue-free visit as well as opening times and phone numbers! You can easily skip the queue by booking your ticket online. Just don’t forget to print it! 50%-discount: seniors, students and people with special needs. Praia Vermelha / Morro da Urca: 3 minutes. Morro da Urca / Sugarloaf: 3 minutes. From 8am to 9pm (ticket offices from 8am to 7:50pm): a cable car car leaves every 20 minutes or whenever it reaches full capacity (65 visitors). The first cable car stop (Morro da Urca) can be also reached by foot in roughly 30 minutes from Praia Vermelha (the beach next to the first cable car entry). There’s also a multimedia museum Cocoruto on top of of the first mountain, dedicated to the cable cars history along with some interesting facts. Admission is free. The park maintains elevators and restrooms adapted for visitors with special needs on Morro da Urca and the Sugarloaf. There’s a “Vaga Certa” system on site for parking your car upon arrival. There is no way of going up by car. A first cable car is taken to Morro da Urca, 220 meters high. 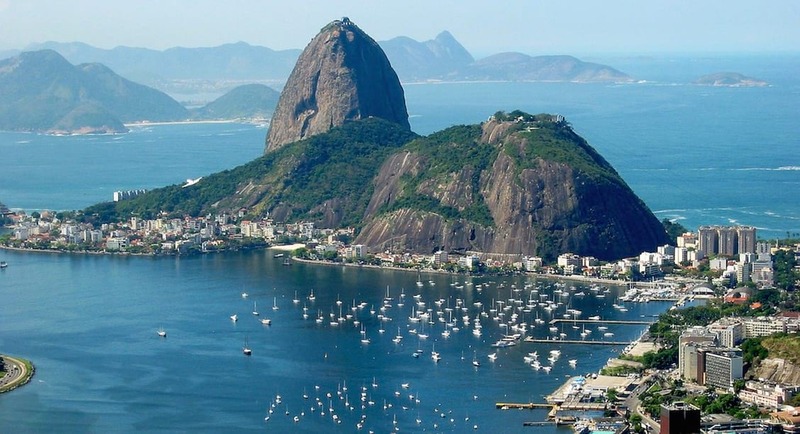 Then a second cable car will bring you to Pão de Açúcar (“Sugarloaf Mountain” in English). It is also possible to go by foot from Praia vermelha to Morro da Urca and then take the cable car to Pão de Açúcar. To go on a pleasant short nature trail, you will need to find the entrance at Praia Vermelha (the red beach), which is next to where the cable car leaves from. On the left side of the beach begins the Trail Claudio Coutinho. It is a paved footpath along the sea, about 2 km long. Enter it, you’ll see then a small, narrow footpath - that’s the one you will need. Feel free to comment or give your opinion on Sugarloaf Mountain. However, please agree to respect our terms. Please don’t post defamatory, insulting or disparaging comments- as we will have to moderate them. Instead, explain what happened in a factual way.